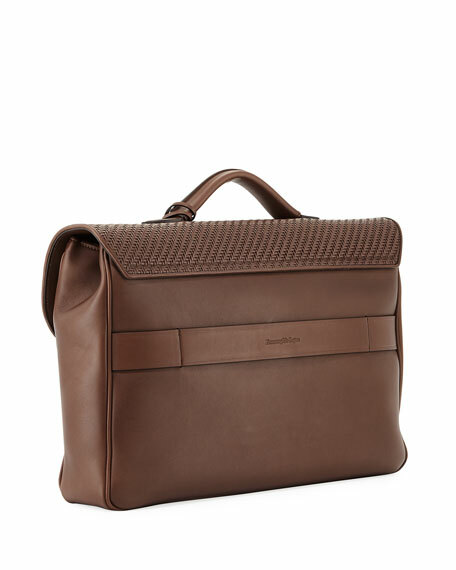 Ermenegildo Zegna briefcase in woven leather with silvertone hardware. Flap top with push-lock buckle. For in-store inquiries, use sku #2375845. 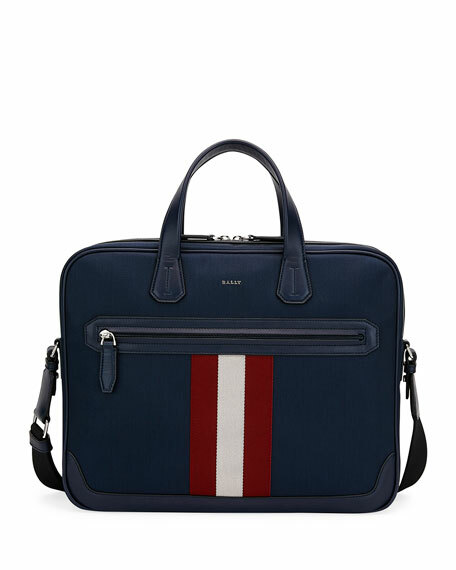 Bally briefcase in canvas with leather trim. 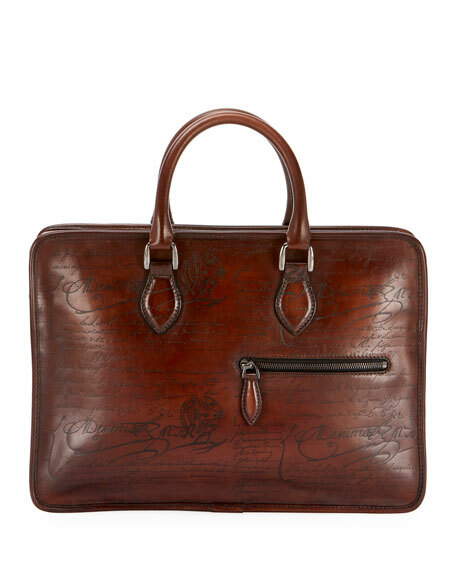 Rolled top handles in smooth leather. Adjustable, removable strap with optional shoulder pad. Signature Trainspotting stripe at center front. Two-way zip-around top closure. Back trolley slip. Inside, pockets. "Chandos" is imported. 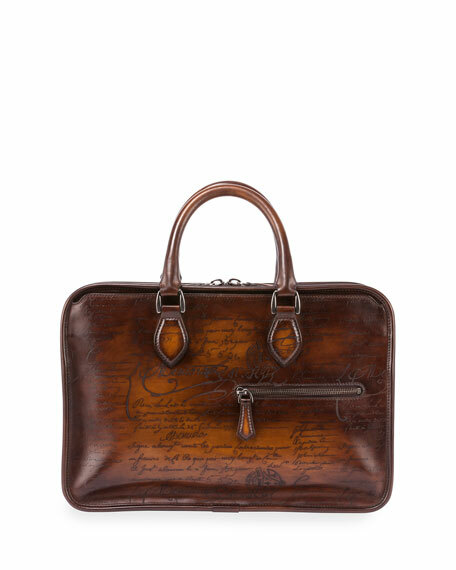 Berluti leather briefcase with Scritto script embossing. Two-way zip-top closure. Rolled top handles. Removable, adjustable shoulder strap. Embossed logo at front. Front zip pocket. 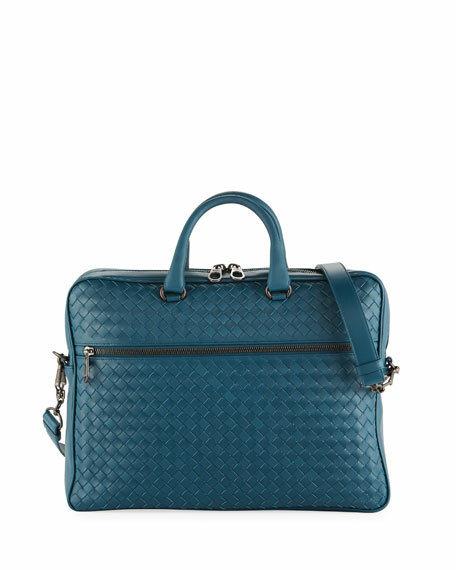 Bottega Veneta briefcase in signature woven leather. Gunmetal hardware. 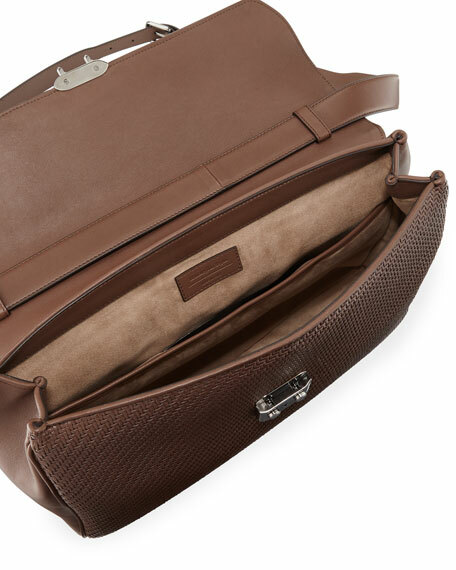 Top handles; adjustable shoulder strap. Zip-around top closure. Front zip compartment; two slip pockets. Made in Italy.